Soups are something that are very versatile, they can be had as a snack or as a meal. They can make a perfect one pot dish if vegetables such as carrot, cabbage, cauliflower or if beans such as kidney beans, whole masoor, black eyed beans are added which makes it high in protein, fiber and nutrients. Soups can keep you filled for a long time without being calorie dense so it is perfect for someone who is trying to lose weight also. Try and include soups which contain a variety of vegetables such as spinach, carrots, peas, tomatoes, onions which makes it fiber rich and nutrient dense. 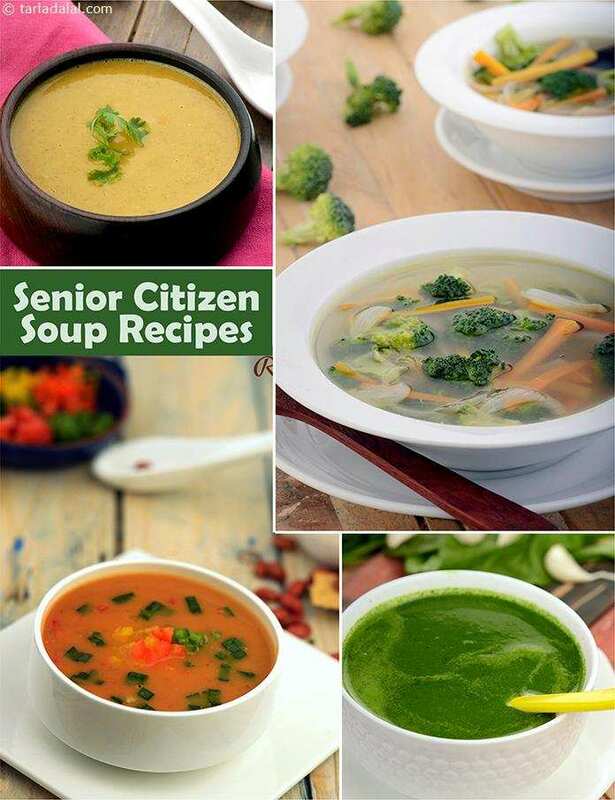 Try recipes such as Spinach Paneer and Dal Soup and Carrot Soup Gajar Soup Recipe which can be prepared in a jiffy. You can make your soup protein rich by adding lentils and beans such as whole rajma, masoor and a variety of dals. Try Rajma Soup which is sure to keep you full. You can also add whey which is the liquid remaining after curdling and straining milk to your soups. So the next time you prepare paneer, do not throw away the whey, instead use it to prepare soup such as Whey Soup which is rich in calcium and protein. Cereals such as barley and oats can be added to soup to make it fiber rich. Try Nourishing Barley Soup Remember to not savour soups with too much butter or cream. Instead savour them with fresh and dried herbs.